In a world of mass production where the emphasis is on all things disposable, it can be difficult to become discovered among all of those mass-produced trinkets. Handmade artists and crafters are poised to overtake those trinkets as the pendulum of consumerism swings back toward a focus on lasting quality rather than temporary titillation. Quality-built goods are sought out as those with disposable incomes start to build and furnish their homes or add to their wardrobes. 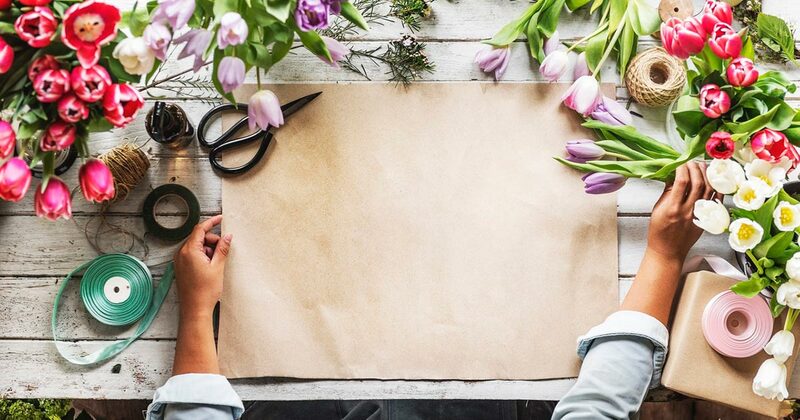 There are many online venues that cater to the handmade artist, and those who have sold on those venues may have connected with other artists in guilds, teams, or whatever term the venue uses for their communities. These groups are more than a way to market wares to other team members; they are excellent sources of networking partnerships. Groups give artists a place to meet and share ideas. They also provide artists with a base group of people who can, and will, help promote them. For example, one person may set up a Google+ group for anyone interested in cross promotion and invite the friends they have made through their selling venue teams or guilds to join. Then it is just a matter of everyone helping to promote each other across the social platforms; this is not limited to one selling venue. This type of exchange takes a lot of trust that others will reciprocate. It is an effective marketing tool, as product photos are shared across a range of social networks. Networks like Pinterest, Wanelo, and Tumblr encourage posts of a photo with a link to the buy button. Pinterest and Google get along well, which means that Pinterest posts and curated boards get a lot of exposure in search on Google. Facebook and Instagram feature posts on individual or business pages, but those posts can get lost in the stream of continual updates, so not all followers will see the same posts. Likewise, Twitter streams move quickly, so many posts get lost even when using an app like PromotePictures that displays photos of the products. With co-op promotions, all the participants have the same goal in mind, so they are more likely to work diligently to promote others' products across their own networks. No one knows your business better than you do. No matter how long you have been in the business, you have the best sales pitch. You know the features and benefits of your product and the inspiration behind it. You can tell a customer what ingredients went into your handmade soap, or how to care for a gemstone necklace. You are in the unique position to tell a story about your trade. The key to today's marketing is to create a fresh approach to relating with your customers by telling them about yourself and making a personal connection. A manufacturer that makes cars is trying to create an emotional bond with consumers by telling them how much fun they will have when they drive their cars. While it may be true, any car company can make the same claim, and it is far from making a sincere connection with the customer. On the other hand, an artist is more in tune with the personality that is drawn to their art and can relate to them on a closer personal level. Customers are more inclined to direct questions to a handmade crafter or artist than they are to a car company or other big business. The consumer expects the artist to be willing and able to answer their questions and engage in a conversation. By conversing, the artist can give detailed and personal information to the buyer that is not available with large companies. How will that necklace look on a scoop-neck blouse? As the designer, you can answer that question and talk about the placement of the beads or the way that the beading wire was selected for its ability to drape. If your website has a built-in blog, then use it to talk to your customers. If it does not, there are plenty of free sources like Blogger and WordPress that offer blogs. Blogger has the benefit of being a Google company, so you will get extra traction from that connection. Make your connections count by talking about how someone can use your product. Give them tips on ways to hang a painting. Offer them ways to wear a handmade belt. As long as you continue to provide useful information, your customers will come back to your blog to get additional tips or look at your newest products. Marketing can be hard work, but it does not need to be expensive. Group marketing and customer engagement are two effective ways to market without spending money.